Have you noticed that retro prints are big right now? Those include that ubiquitous gingham and vintage florals. This fun summer look combines two that can so easily be styled together: polka dots and leopard print. I have to confess that I’ve been playing this summer look on “repeat” quite a bit. Hey, when you have a winning formula, why not enjoy it more often? And there’s nothing easier to slip on for a trip to the farmer’s market, shopping, or catching a movie. Since I am a new convert to the color yellow as you might recall from THIS POST, I took the opportunity to accessorize with a necklace from the Lost City in China. Mark brought it me back for me from a business trip. The pendant is enamel, and it hangs on a smooth black string. I find it beautiful in its simplicity. The look is ultra casual, but it has instant style. It’s a look that goes so well with the casual Santa Cruz vibe where I am spending a lot more time now (in our second home). People here are so easy-going and laid back as you may recall from my very LAST POST. That’s why I love having this outfit with a fun play on prints but which is ultra comfy and casual. The heels on these shoes, for example, make them perfect for running errands or just lallygagging. 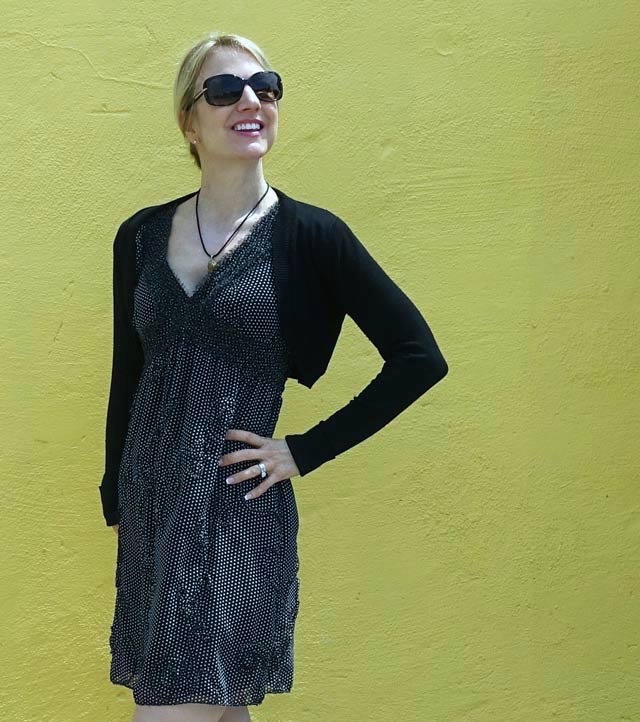 I hope you’ve enjoyed this fave summer look of mine for weekends and coastal beach towns. When this post comes out, I’ll be in Italy. If you comment, I may not respond instantly. But know that I will be checking. I love your input! I always love leopard print shoes! You wear it well, What a beautiful ensemble, put together very well!! Love the shoes. I have the same shoes but a heel, no strap and love them. Have the little bolero already, but now I would love that dress!!! You look lovely! I love the print mix and the dress looks beautiful. Lovely! Enjoy your stay in Italy! You look so chic in this dress! I always love a pop of leopard print too! 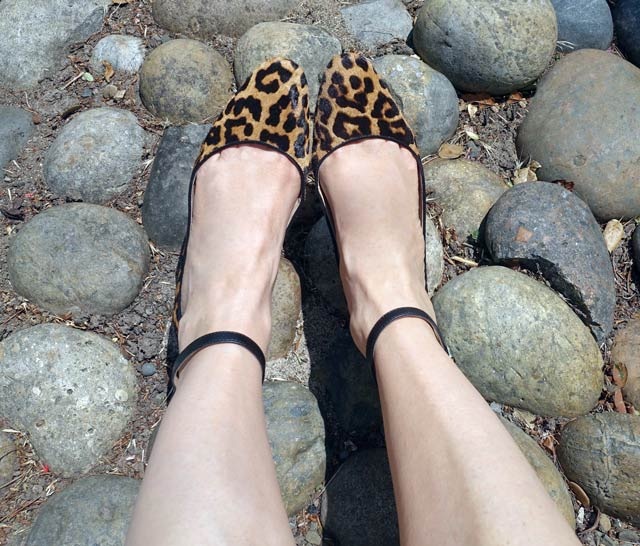 Totally obsessed with your leo shoes… you never fail to amaze me babe! Great look. Love the leopard print addition! I love the subtle pattern mixing. So beautifully done! I totally feel like leopard is a neutral, so I’m down for matching it up with anything! 🙂 Great look, doll!